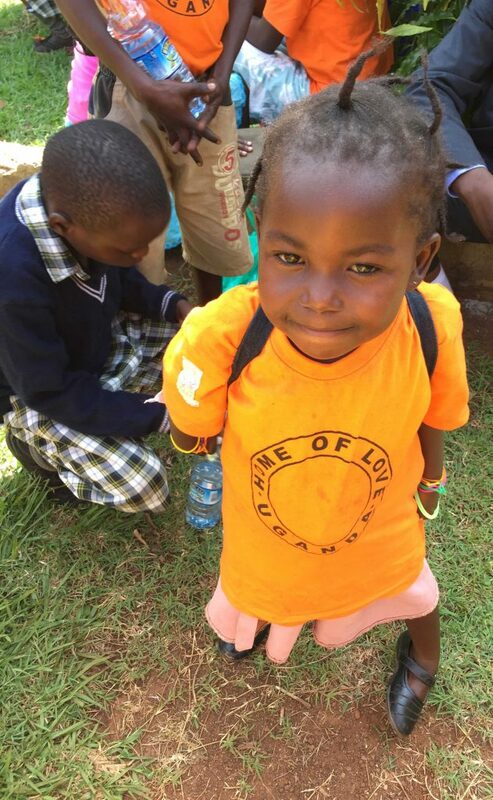 Home of Love Orphanage is a grassroots organization serving orphaned children in a small community in Tororo, Uganda. I was born and raised in Uganda and witnessed a lot of suffering and neglect of orphaned children during that time. After coming to the United States, I felt the inner pull to help make a difference in as many lives as possible. In 2003, I started sending money to my mother in Uganda to care for 6 orphans. In 2005, I bought a plot of land to help expand the ministry of helping these children. The land had no structures and no running water. It was empty land. During this time, we put a sign on the land that said “Future Home for the Homeless”. Immediately, street children saw the sign and started staying on the property before we had a formalized or organized team or any place to care for them. Somebody had to take care of these children.We took them in and placed them in temporary housing until we were able to accommodate them. And so the founding of Home of Love Orphanage took place in 2008. At Home of Love Orphanage, we take hopeless children off the street, help them discover their potential, and train them to be productive citizens in their society. We provide shelter, food, clothing, school tuition, healthcare, and life coaching. Over 40 children’s lives have been restored since formally starting Home of Love Orphanage in 2008. It is our mission to teach entrepreneurism, leadership, and sustainable agriculture to raise up leaders who will bring positive change in their society. Enrolling children in the best schools available. Children are provided school uniforms and other clothes for every season. The future is our focus: enabling children to be successful as they move into future phases of life. Full coverage on medical needs of the children. Our children are provided full board by us and the boarding schools they attend. With the completion of our 2,400 square foot house, the children have a safe place to learn and grow. Construction of a 200-bed facility for the children enabling Home of Love Orphanage to grow its numbers and community impact. Constuction of Medical Facilities to provide ready assistance to the entire community. Construction of a Boarding School to provide quality eductation for our children and other children in the community. Construction of accomodations for all staff and visitors who are assisting Home of Love Orphanage. At Home Of Love Orphanage, we understand that we can’t do it by ourselves. We believe in partnership: there’s power in numbers. Talk often about what we are doing with your friends and family, even people you meet out and about. So many people are looking for a cause to be a part of. You would be surprised what a conversation can lead to! For those who want to really invest their time and money into Home of Love Orphanage. We have needs for event planners, fundraisers, board positions to be filled, etc. We are also looking for people to go on short trips to work on the project in Uganda. Investing in others ALWAYS pays off! It is guaranteed to give you a return. To invest today, scroll down!